To conclude jazz week, I am happy to present The Stolen Sweets. You will notice that the album cover is designed to look like a matchbook cover. A beautiful woman is in a swanky nightclub. Her gloved hand holds a cigarette in a long holder. 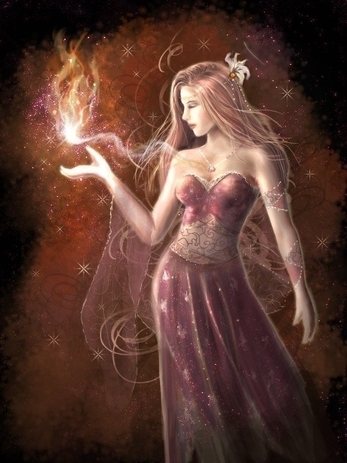 Several young men rush up to her and offer her a light. One lights it, and she says, “Thank you, boys” in a voice that makes your heart melt. The smoke rises from her hand like a thing alive, an effect that only works on black and white film. The music of The Stolen Sweets evokes the world depicted in the films of the late 30s and early 40s. Romance is innocent and pure. Jealousy can drive a man to terrible acts. And everything is idealized. This doesn’t happen in the movies nowadays, and putting it over musically is a challenge. Audiences are jaded, and expect characters to have flaws. The only way to put this over is to evoke a past era so completely that your listeners are willing to suspend disbelief, and take the ride with you. The Stolen Sweets succeed. The Sweets have two guitar players and a stand-up bass player. There are two male and three female singers. Guest musicians on various tracks add drums, clarinet, a string quartet, cornet, and even Hawaiian steel guitar. The female singers get most of the work; they work as a trio, singing close harmony on lead or behind one of the men; sometimes one of the women sings lead while the other two sing background. This variety of voices and combinations allows The Sweets to capture a variety of moods. I imagine that they have discussions all the time about which vocal combination would best serve each new song they add, and the decisions here are right. The vocal sound often recalls the sound of swing-era sister groups like the Boswell Sisters. The instrumental sound is closer to Django Reinhardt jamming with friends, and the combination works beautifully. 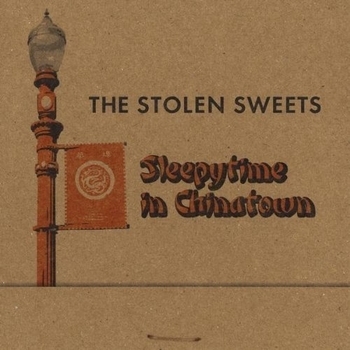 You might expect that Sleepytime in Chinatown would be an entire album of covers of swing-era tunes. After all, we all know that they don’t write them like that anymore. But The Stolen Sweets do. Half the songs here are originals, and they stand proudly side-by-side with the covers. I was particularly struck by the use of language. Listen to the words in The Wizard of Oz, and you will notice the brilliant turns of phrase. Most of the originals here display that same love of language in service of the song. Only one, Easy on the Eyes, fails to deliver in this way; the words here sound good, but the narrative doesn’t make sense. 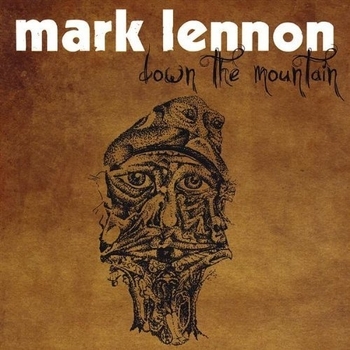 That leaves five original songs that work beautifully. 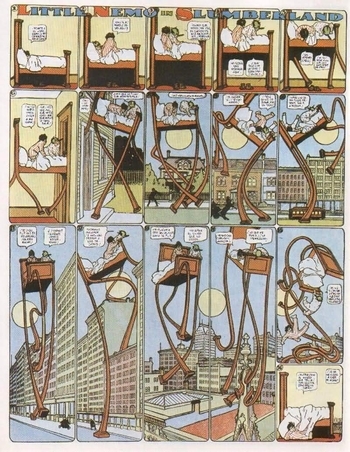 The best of these is Willie the Weeper, the Chinatown Creeper. This is a tale of jealousy, in a gangster setting, and you can imagine that James Cagney or Humphrey Bogart should have been in the film. Dinner for Two recalls a time when women had very different roles than they do now; here is a heroine whose highest ambition is to cook delicious meals for her man. With our modern perspective, we could resent or even pity her, but The Sweets make us believe in her and admire her earnest declaration of love. The covers include the opening track, I’m Gonna Sit Right Down and Write Myself a Letter. The Sweets’ last album included more familiar tunes, but this was the only cover here that I was familiar with. Like the originals, the covers relate yearning, devotion and jealousy. Puttin’ It On and Guilty are notable, because the bass player, Keith Brush, gets to step out and take solos in each song. He displays the ability to add to the melody while continuing told down the beat; bear in mind that, in the absence of a drummer, the bass is often the only rhythm instrument here. So here is an album that transports you to a different time and place without a hitch. The original songs, for the most part, work seamlessly along side the covers. The only problem is, the ride is over far too soon. The album is only 34 minutes long! I was left wanting more. And that is the mark of a job well done. Once, a jazz musician, Duke Ellington I believe, was asked, what is jazz? “If you gotta ask, you ain’t never gonna know”, was his reply. And it’s true. The differences between Kid Ory and Ornette Coleman are extreme, and yet both are jazz. And this is also the case with jazz singers. Ella Fitzgerald and Cassandra Wilson are both jazz singers, but with very different styles and approaches. This point was really driven home for me at a concert I attended quite a few years ago. My oldest brother was attending Berklee College of Music at the time, and the faculty and students presented a concert on the history of jazz. Different ensembles came and went from the stage all evening, and for me, connections were made. By putting different styles of jazz in chronological order, the performances went a ways towards explaining how one grew into the next. I am fortunate to have a selection of jazz singers to present that somewhat allows me to do the same thing. 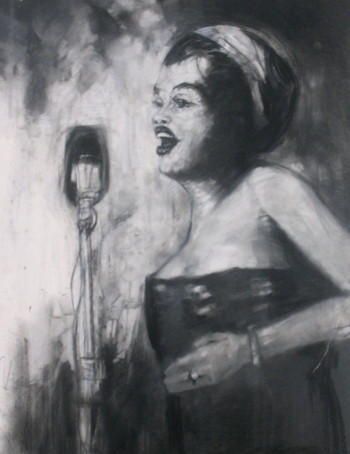 All are contemporary artists, but each is working with a different style of jazz. It happens that all of the singers presented here are women. I am quite sure that there are also many great male jazz singers out there; I hope I will hear from them, and I would be happy to share the results another time. Meanwhile, instead of a Spotlight Song this week, here is a whole set of them. Each of these artists is well deserving of a full album review, but most of these albums reached me too late for that. But I wanted to share their music with you nonetheless, so here they are. The Boston music scene has many artists who are exploring the sounds of music from the period prior to World War II. Miss Tess is one of these. On her album Darling Oh Darling, she performs songs in early country, blues and jazz styles. Many of these songs are originals, but the sound is from that earlier era. And Miss Tess has a wonderful brassy voice that is perfect for this music. Remember that, in the pre-war era, the rules of music had not been formed yet. Small ensembles could include combinations of instruments that would seem odd today. The boundaries between musical genres that are so strict now did not exist then, and it was not unusual for an artist or group to cross these musical lines at will. For Miss Tess, this is worth celebrating, and she has the talent to back it up. As jazz music developed, Latin jazz became an important subgenre, one that many artists still draw on today. 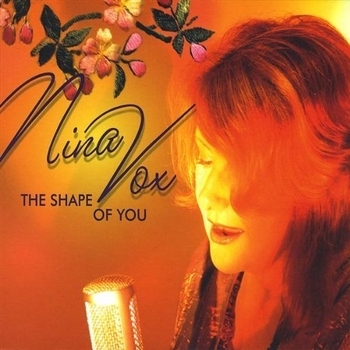 Nina Vox makes her debut with an album that draws heavily on this style. She has a sultry voice that recalls cabaret singers, and the combination really works. Here she turns the Tom Waits song Little Drop of Poison into a tango, and all of the emotion of the piece survives nicely. I could tell you that Nina Vox hails from Brazil or Argentina, but no. She’s actually from Australia. 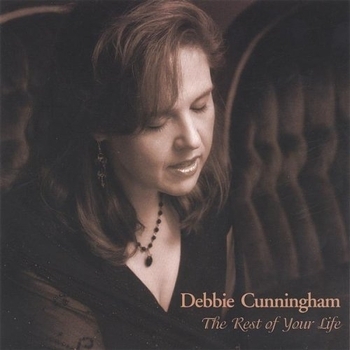 Debbie Cunningham probably sounds most like what people think of when they hear the term “jazz singer”. She is backed by a trio with drums, bass, and piano, sometimes joined by other instruments. For her take on Stevie Wonder’s Overjoyed, she adds light touches which recall the fusion jazz of the late 70s. 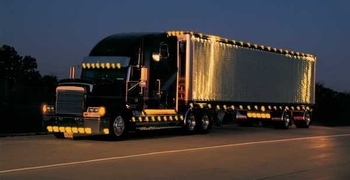 The key to this performance is that light touch. Cunningham’s arrangement pays tribute to the source, but I find her delivery of the vocal to be more believable than the original. Over a rhythm carried by the drums and guitar, Laura Siersema sings a beautiful duet with the fretless bass part. Siersema may not think of herself as a jazz singer at all, but this song and a few others on this album have a similar flavor to Joni Mitchell’s album Hejera. Siersema also stakes out plenty of her own territory, but the whole thing has a jazzy feel to it in my mind. And I mean that as a complement. 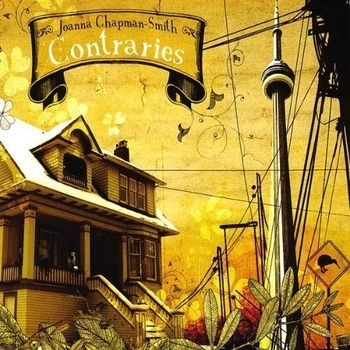 Finally, we have Joanna Chapman Smith. I’m pretty sure she will find her inclusion here surprising. And yet, her music contains many of the same elements the combined to form jazz. Here are cabaret, klezmer, some folk, and maybe even some classical references. And Chapman-Smith combines them all into a coherent whole, and makes music that sounds not quite like anything I’ve ever heard before. Things Are Gonna Go Wrong starts with just Chapman-Smith’s voice and the bass, and it really does sound like jazz. But then, the accordion and clarinet join in. So the sound, and the combination of instruments is certainly unusual. But I still feel that this song belongs in this set, and makes musical sense. As I started planning my jazz singers feature for this week’s theme post, I became more and more excited. The fact is that even though I haven’t had much chance to feature it here, I love jazz singing when done well. So I have decided to make a full week of it, starting with this edition of For a Song. The week starts now, and ends with my next album review. I had no trouble deciding where to start. Twisted was the first example of jazz singing I ever heard. I already knew of Joni Mitchell’s music, mostly from the Blue album at that point. But this was something else. 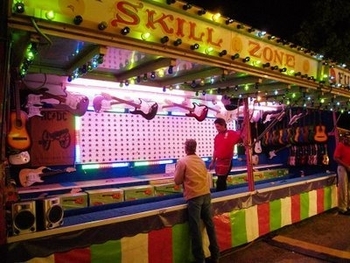 That something else was a quality called “swing”, although I didn’t have a name for it until much later. But I could feel it right away. This was music you could not sit still to. And one other thing distinguished Twisted. Blue is not a happy album, so it was great to hear Joni Mitchell having fun. In researching this post, I discovered that Twisted could be found on at least two Joni Mitchell tribute albums. I decided not to include either one. One was a fairly slavish copy of Mitchell’s version, while the other was more original. But what particularly struck me was that no one involved in either of these tributes seemed to know that Mitchell did not write or originally record the song. Mitchell’s career has included a scant amount of covers, and this one was the first. So, to set the record straight, I thought I had better include the original version, by Lambert Hendricks and Ross. It is quite wonderful in its own right, and this is what Mitchell was hearing when she came up with her interpretation. St Patrick’s Day is past, but I am not quite done bidding farewell to the music of Ireland. However, it is time to start saying goodbye. Actually, farewell is as much my theme as Irish music. The songs I have chosen are separate entities, but here they combine to tell a story. Amongst fans of Irish folk, Ireland is known for the extraordinary number of fine female singers the country has produced. Maire Brennan is certainly one of these. 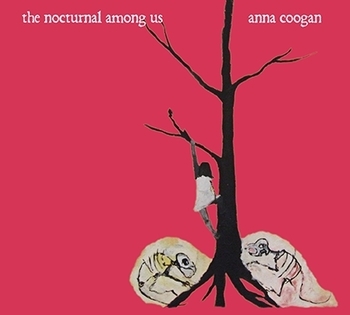 Brennan is heard here blending elements of Celtic folk and pop, and the result sits just on this side of new age blandness. This type of sound has been a trap for many, but Brennan shows here just how beautiful the music can be when done right. Voices of the Land sets the stage for our tale, praising the land and its beauty. She worries about threats to the environment, but never becomes preachy. The Narrator of Red is the Rose sees the beauty of the land reflected in her lover’s appearance. This one starts as a simple love song, and only fully reveals itself at the end. The lovers must part, and she must lose this beauty. This one also reaches across the waters. The Chieftains established themselves long ago as masters of traditional Irish Music. But more recently, their career has consisted of making musical connections between this tradition and others. Irish immigrants came to the United States and settled in the South, bringing their music with them. So The Chieftains’ exploration of the links between Irish and country music has produced particularly rich results. Here, Nanci Griffith’s performance of this traditional Irish ballad shows how this works. There have been many waves of immigration from Ireland to the United States. And so, there are many Irish songs on the subject. In the hands of Patrick Street, The Braes of Moneymore proves to be one of the best. 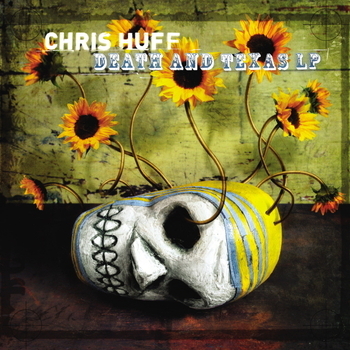 Chris Huff recorded an album in 1998, called North Cathedral Way. Here, Huff was the troubadour, strumming an acoustic guitar and singing about meeting great philosophers in a café. He was joined by a stand-up bass player and a djembe player. I find the album charming, but I must admit that this persona did not seem to be the best fit for Huff’s voice. For the next ten years, Huff tried to find his musical self. He tried on a wide variety of rock styles. The bigger sound suited him. The Death and Texas LP might tell us where he wound up. But instead, the album is a document of the journey. The album is uneven, but there is plenty of good material here. Hey Now Now is the lead track, and it is a perfect pop song with a slight reggae lilt. This one will get stuck in your head for all the right reasons. So I don’t know if Huff found his voice, or which voice it might be. I suspect that the answer will be found on his next album. I hope there isn’t a ten year wait for that. I started this discussion by mentioning Chris Huff’s debut album, from 1998. Here is a taste of how he sounded then. Blog Business: I'm thinking of turning my theme post next into a spotlight on the work of jazz singers. Please let me know what you think in the comments. Thank you. 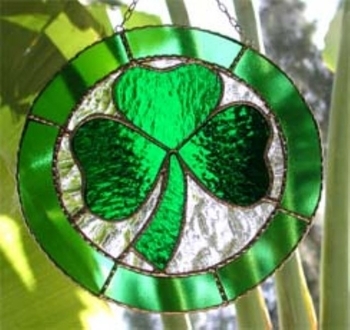 Belatedly, I wish a happy St Patrick’s Day to all. And I offer an Irish tune for your enjoyment. The list of things one thinks about in contemplating Ireland is not the most complementary. There are “The Troubles”, a shortage of potatoes, and too much drinking, just for starters. But the Irish have some of the best music on the planet, a rich folkdance tradition, and great storytellers. And they have a unique relationship with tales of magic. On its face, The Song of Wandering Aengus is simply a tale of love found and lost. But, for those who know what to look for, there is more. The narrator casts a hazelnut into a running stream, and then retrieves a trout from the water. Then he returns home, and a beautiful woman mysteriously appears to him. The casting of the hazelnut into running water is an old ritual for summoning supernatural beings. Later references to the silver apples of the moon and golden apples of the sun confirm that the woman is a visitor from the Otherworld. In countless tales, such beings can visit in our world, and even love and be loved, but they must always return home in the end. 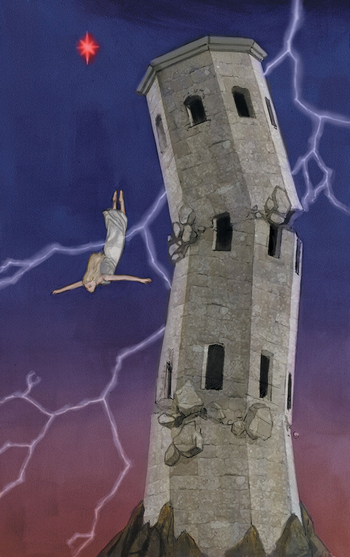 Karan Casey does a beautiful job of putting forward the emotion of this tale. 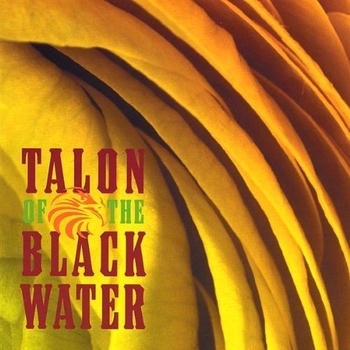 Casey gained a reputation when she was still with Solas as one the best traditional singers in Ireland, and nothing she has done as a solo artist contradicts that. The title of this post is the shortest answer I can give to the question, “How do some artists approach cover songs?”. Surely, something drew them to the original song in the first place. But the new version is something else entirely. The song has been transformed so completely that it might as well be an entirely new song. Here is a set of covers like that. Purists may be offended. This set is for the rest of us. Cassandra Wilson takes Hank Williams’ classic I’m So Lonesome I Could Cry, and creates a setting for drums, bass, fiddle, and guitar. There is also a bouzouki, but it still sounds like it might be a fairly straightforward reading. It isn’t. Wilson turns the song into an aching jazz ballad. The lyrics are here, but even Williams’ original melody is gone. It might be best to call this a new musical setting of a poem by Hank Williams. But Cassandra Wilson completely gets the intent of the original. This version aches with loneliness just as much as the original. On the evidence of this song, don’t let the name of the band fool you. This is a jazz band with some serious chops. Elizabeth Shepard takes the vocals, and the band swings hard. Fly Like an Eagle has always struck me as a celebration of freedom. This version represents that freedom in musical form. Incidentally, I got this one from Fongolia at the blog Fong Songs. He presents unusual originals and covers by Canadian artists who are unknown here in the United States. I highly recommend a visit. Ska bands seem to play a game of Can You Top This. The rules are simple; find an unlikely candidate and create a ska cover of it. This could be a recipe for disaster, but a surprising number of the ones I have heard are quite good. This version of Come On Eileen is one of my favorites. This version of Ohio comes from a compilation album of Neil Young songs performed by female artists. The album is on American Laundromat Records, where they specialize in compilation albums for various charities. This one helps breast cancer survivors. Usually, artists choose to cover a Neil Young song from his solo career, but here is one from his days with Crosby Stills Nash and Young. The original rang out in protest of the deaths of the student demonstrators killed at Kent State. By extension, the song was also a rallying cry for the protests against the Vietnam War. The song expressed righteous anger, and demanded action. But here, Dala preserves the words and melody of the original, but changes the tone completely. The arrangement features tolling piano chords and acoustic instruments, and the song becomes an elegy for the dead. And the vocal harmonies of Amanda Walther and Sheila Carabine really put this one over. The transformation of the original is probably the most subtle example here, but just as complete. 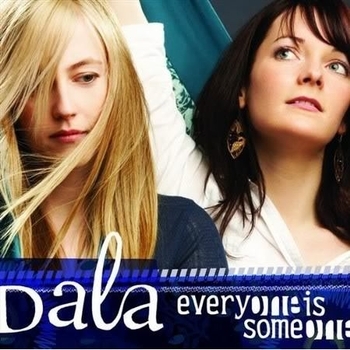 Speaking of Dala, I am pleased to present them here with this week’s Spotlight Song. I have to admit though, this one almost didn’t happen. The album is called Everyone is Someone, and that first thing I heard was the single, Levi Blues. 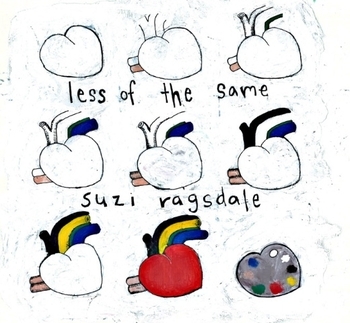 Here is a folk-pop number with breathy girlish vocals, and was ready to dismiss both it and them. However, in due time I got the Neil Young sampler with Ohio on it. I played this one straight through, and Dala’s version of Ohio made me think I might have missed something. I did, but luckily, there was still time to fix it. I still find Levi Blues to be lightweight, but the rest of the album shines. In particular, Walther and Carabine’s vocal harmonies put me in mind of Simon and Garfunkle, and they get a lot of emotion not only from their individual voices, but also from the way they blend and interact. The lyrics are wonderfully poetic, and feature great imagery. Compass is a bonus. All of the qualities I mentioned above are here. And the arrangement here is stunning. It’s just two acoustic guitars and a harp, plus those voices. Many Celtic artists have achieved less emotional impact with fuller arrangements. They should all listen to this, and see how it’s done. I know that, for many of my readers, it is unmistakably still winter. But here in New Jersey, we have had a major thaw in the last week. The snow is retreating, and there is even a noted increase in bird noises in the morning. For me, this triggers a reflex that tells me that it is time to dance. That may seem strange, so let me explain. Back in the years before I was a married-with-children, I used to go contradancing whenever I could. 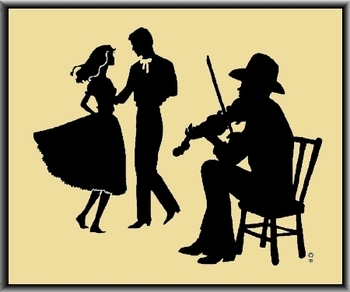 (Contradancing, if you don’t know, is a folk dance form native to New England.) This even was the start of a chain of events that led to me meeting my wife. I noticed that many of the dancers would vanish when the weather turned chilly in the fall, and returned at about this time of year. I observed this over several years; it was as reliable as bird migrations. So, even though I have not contra danced in many years, (sigh), I still associate this time of year with the return of the dancers. That first dance when everyone comes back is one of the most exciting of the year. There is a sense of exhilaration that comes both from the arrival of warmer weather and being reunited with friends. k d Lang isn’t singing about a contradance, and this isn’t even a song she wrote, but her performance still conveys exactly the feeling I’m talking about. I have presented Klezmer music before, but I emphasized that faster songs. Here, the tempo comes down a bit, and the sheer beauty of the music shines through. Finjan, my sources tell me, is the leading klezmer group in Canada. Strangely, there is a connection between this track and the last one. Dancing on Water was arranged by Finjan and Ben Mink. Mink played on some of k d Lang’s best work. This wasn’t supposed to be a sequel to last week’s Canadian post, but here is yet another Canadian artist. Bruce Cockburn is a socially and politically aware songwriter. He finds it impossible to live in this world without having strong feelings about what goes on in it. Here, he seeks refuge from the ills of the world in a dance. The effort is only partly successful, but the desire for refuge is beautifully expressed. Finally, we leave Canada for England. XTC also cared deeply about world events. Here, they take on a particular brand of “patriotism”. There are times when nations experience a kind of blood lust. Here in the United States, we experienced this in the wake of 9/11, and our government was only to happy to fan the flames. As XTC points out here, the results are often tragic for all concerned. Here is a new feature on Oliver di Place. I started this blog because I believed that the world is full of great music that too few people were getting to hear. Now I am even more convinced that this is true. The fact is that I receive more great albums than I can review, even at a rate of an album a week. So now I will feature a song from some of these albums in this spot. The artists featured here are just as worthy as those I give full reviews. This just gives me a way to share more of my discoveries with you. I will also use this space for artists who do not have anything new out, but who I only just discovered. Country music is comfort music, even when the subject matter is grim. Musically, there are no major surprises, but that does not preclude the possibility of fine musicianship. The lyrics cover a limited range of subjects. So the listener knows more or less what to expect, and the most important factor is the sincerity of the performance. 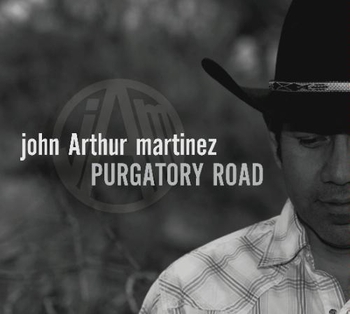 And john Arthur martinez delivers a wonderful performance here. One of the big problems I have with mainstream, (read: major label), country is the production. Sometimes, everything is scrubbed clean of any personality and given a pop sheen, while other times the chorus builds to a 70s rock crescendo, completely obliterating any chance of subtlety. Martinez avoids these traps, and delivers a set of songs that offer all of the comforts of country as performed by someone who means it. The best of all are the songs he wrote by himself. There are three songs here by other writers, and four co-writes. All sound to me like bids to insure commercial acceptance. But the four songs martinez wrote by himself are the highlights for me. These add organ parts to the mix, as well as female backing vocals. These songs have an honest country feel, but also a soulfulness that fits in beautifully. Cobalt Blue also has an interesting lyric. Is the Cobalt Blue of the title a woman or a drink? I think the answer is yes. I like the ambiguity. So I will put this one on when I’m looking for musical comfort food. And I hope that martinez’ next one includes more solo originals. I’m posting this song now for two reasons. Of course, one is that I really like it. The other is that the title expresses a good part of how I was feeling during my recent forced shut-down. Thank goodness that’s over. Steve Forbert arrived on the music scene full of optimism and eager for the future. His first album was even called Alive on Arrival, and it fits. You Can Not Win… closes the album, and sums up its sentiments nicely. There is no thought here of the fact that you also can not lose. But Forbert would go through the classic music biz ordeal of having his label fail to support him, and even of being dropped, The optimism that was such a delight on his debut is gone now, but Forbert is still a fine musician and songwriter. And his voice is still an acquired taste, but I have always been fine with it. Incidentally, in researching this post, I learned that Forbert has just gotten the right to release what was to be his fifth album with Sony, his original label. I would tell you the whole story, but fellow blogger Doug Heselgrave, at Restless and Real, has already done a fine job of that here. Restless and Real is new to me, and I’m not adding it to the sidebar because he does not post songs for listening and downloading. But I am impressed with his writing, and happily recommend checking this blog out on this basis. The last section is five songs long. Here, the narrator finds a way to accept what has happened and try to move on. The emotional tug of war is between denial and acceptance. Pretty Good Today trying to deny the hurt and say she’s fine. In What Do You Bury?, the man has died, and the narrator tries to say she never loved him, as she reviews all of his flaws. But it is still hard to let go. But finally Heart Broke Open and Bluebonnets, she is ready to say, “Yes, I still hurt, but I am ready to try to love again.” I found Bluebonnets particularly moving. The song is a promise to a lover that she has made mistakes, but will try to do better. Will she succeed? 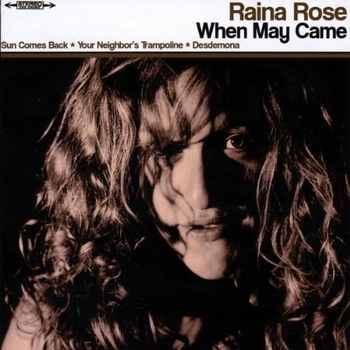 Perhaps Raina Rose’s next album will tell us. Or maybe Rose will decide not to be so personal next time. Either way, I look forward to more fine word craft and storytelling. And I look forward to Rose continuing to impress with the range of expression in her voice.